High-quality applications that can efficiently work across multiple types of devices are the need of the hour for companies that wish to register their presence in various app markets. Thus, compared to native, hybrid solutions are considered better to fill the gap. 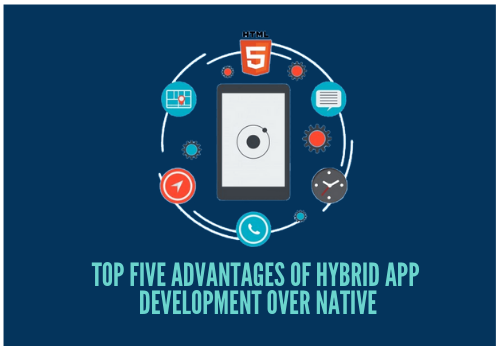 There are several advantages offered by hybrid options that urge companies to drop their plans for developing native apps. Fewer developers are needed to create a hybrid application as it requires only one code base. Thus, the software testing process remains simpler. Due to this, the QA engineer can quickly ensure the final product is of a high-quality, and bug-free. Compared to native apps, hybrid options require minor maintenance and offer more flexibility as well. The single codebase also cuts down the final human resource cost required for building the application. Introducing updates and changes in the applications can prove to be a costly and time-consuming task. However, with hybrid apps in place, mobile app developers need to update one app, and the change gets applied to all the platforms. Simply put, even the bug fixes and enhancements are implemented in a better way. Users do not need to download the updated version of the app whenever there is some or the other update. Instead, they get the refreshed version of the page whenever they re-launch the application. With hybrid apps, you can expect the customer to get same experience on web apps, Android, IOS, or any other platform. Hybrid apps are designed to adjust themselves according to the device’s display automatically. They remain glitch-free and are instantly responsive. Non-tech-savvy users won’t even understand the difference between the two types of applications. There are several tools like PhoneGap, Ionic, Sencha, Xamarin, Framework7, Canvas, etc. 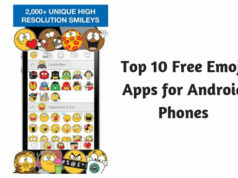 that can help in developing the best hybrid apps. 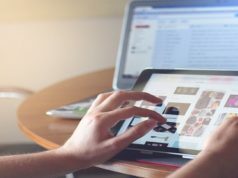 With these tools and external plugins, hybrid solutions can utilize a maximum number of features, functions in the user’s handset. Native solutions make inter-app interaction difficult. As mentioned earlier, that’s not the case with hybrid apps. They can easily integrate with the overall device environment as well as the organization’s back-end systems. Hybrid apps work well with various software solutions present in the device enabling them to seamlessly synchronize with the camera, GPS, messaging app, and so on. The hybrid app can be developed within a minimum timeframe and cost. Thus, it can be deployed to the limited sets of markets to test the viability of the selected features. Such an app can serve as a minimum viable product before spending time and a massive amount of money to launch native apps on various platforms. Several startups with limited budgets have already deployed the same. If you are searching for a reliable application development company like smart sight innovations with considerable experience in native app development, hybrid and web apps, you should get in touch with Smart Sight Innovations. Next articleHow Does a Post Matrimonial Investigation Help in Divorce?